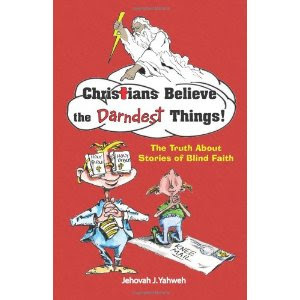 There are two types of people who need to read this book - Christians who keep circulating "messages of faith" on the internet without first checking to see if they are true, and "everyone else" because they will find the truth behind some of those emails quite funny (and embarrassing for the Christians). I find it ironic that people of faith, who purport to adhere to the Ten Commandments, have no problem with circulating outright lies which happen to support their beliefs - and in doing so violate the 9th Commandment (Thou shalt not bear false witness). If you care if what you believe is true read this book, and if you are okay with being a liar by all means pass it by. Most all chapters can be read for free on line at Amazon .